In fact, there are quite a few canon examples of cybernetics I can think of. "They threw away his head and replaced it with a gun." General Grievous was very specialized and had a specific 'doctor' for his cybernetics. I don't think it was explained if this droid doctor was the only person capable of maintaining/repairing Grievous or not (it's been a while since I watched Clone Wars). As for Darth Maul's 'transformation', that seemed more Sith Alchemy rather than pure cybernetics (as well as a 'magical' answer to "how do we bring this guy back after cutting him in half?" plot device). Not to say I didn't like the idea of a Sith Lord sustaining his own life through pure anger/hatred. Cad Bane, fair enough, **** good example BTW and I'm annoyed with myself that I forgot the wide-brimmed hat wearing badass! Forgot Wolffe as well (d'oh!). Would like to have seen 'Wolffe vision' to see if that eye did anything rather than look cool (no pun intended), thermal vision for example (though looking cool is still good enough). Again they might have covered this as well, really must watch Clone Wars again! I think the concerns about ion weapons and cybernetics are a bit hyper inflated. My previous point in regards to it being a called shot or use of Advantages and Triumphs to score a hit on the attachment is how I believe the fluff section of the cybernetics is worded. It's worth noting that should someone firing that ion weapon at an organic fail to hit the attachment they get zilch for their effort as the weapon won't otherwise inflict any sort of damage to the organic target. This coupled with the fact you can use the same called shot or Ax3/T expenditure to inflict the exact same result on a limb with a blaster regardless, the rule makes no distinction between organic and cybernetic limbs, it's left to each table to deal with narratively in my eyes. The devs included man portable ion weapons because of the iconic nature of them in the OT. 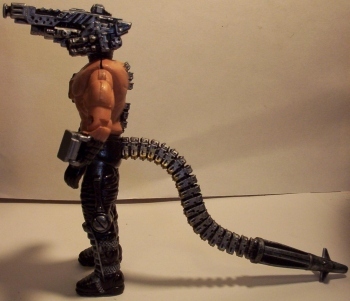 They didn't design an auto cripple stick against cyborgs imo. They wrote some interesting fluff and at the end of the day made them a stunner for droids, that's all as far as my table goes. I'd like to point out something that I didn't see anyone bring up in the thread so far. Say you have a character with a cybernetic arm or leg. Now say his cyberlimb is "disabled", as the rules state. What exactly would that mean? That the character cannot stand upright? That his arm is hanging uselessly down? I don't think so. If you look at the Critical Injury table there are plenty of entries there that specify what happens when a limb becomes crippled, and it's all along the lines of "upgrade the difficulty of all checks involving this limb once". For the Critical Injury Blinded, which would apply to someone with cybernetic eyes, it says that all checks involving vision have their difficulty upgraded twice, while Perception and Vigilance checks have their difficulty upgraded three times. In short, I think this would be less a case of "My character lies in a helpless puddle on the ground" and more a case of "my character has a hard time moving around but is still very much in the fight". It depends. Luckily my GM isn't handling it this way, but according to the developer Q&A, if your character is hit with ion, all of your upgrades stop working. The book uses cybernetic legs as an example, and says that such a character would lose the ability to walk (and I imagine that's in addition to upgraded difficulty dice for other actions). So a character with 2 arms would be unable to fire a weapon, a character with eyes would suffer the standard "blinded" effect, and a character with all 3 would indeed be a helpless pile of expensive parts. I think this is up to the GM to decide. The critical hits table would be a great place to start from, but IMO it's reasonable for the GM to assign more specific results as discussed above. The amount of damage could also subjectively inform the severity of the penalty. And why do people keep referring to the Gand as "Ganks". Is that supposed to be a joke or something? Cyborg: All Ganks are cyborgs, and each one often possesses several different cybernetic implants. A Gank begins play with up to two cybernetics that cost a total of $5,000. Ganks have a cybernetic implant cap of 3 plus their Brawn rating. "The Ganks date to the second draft of the script for Star Wars: Episode V The Empire Strikes Back, ..."
Well, I can't really gripe about that, can I? So it's just my bad. Yeah, I'd never heard of them either until I read through that book. Spend 2 advantage to activate the ion effect on a hit (each activation could shut down one cybernetic implant). Allow target to take an action to "reboot" the gear (make a resilience roll with a decently high difficulty that includes at least 1 challenge die, despair means that the implant cannot be reactivated until after the encounter). Allow target to flip a Destiny point to "reboot" an implant. I think there are a lot of levers in game you can use to smooth this out for your game. I didn't know Ganks went back that far, I remember them from the original Dark Empire series by Dark Horse comics in '92. If they all have ion weapons, then just hide the droid and stand triumphantly in the open and mow them down with the rest of the group since Ion weapons are nigh-useless against organics. Unless they’re using T7 Ion Disruptors, or the equivalent. In which case, you are well and truly screwed. As a GM i see this thread as a great resource for ideas on Rival and Nemesis Cyborg/Droids. 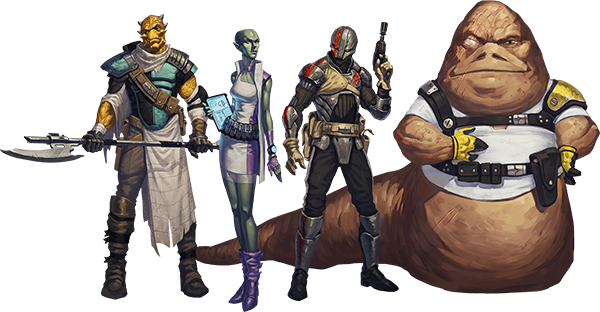 I don't like the idea of a GM throwing an army carrying ion weapons at the party just to annoy the Players with Cybernetics. But for a Lieutenant or BBEG to openly be a cyborg, and the party then go and spend hard earned cash on ion weapons just to be able to take it alive. That sounds like a great Narrative, gives the story more depth. Besides any way i can get them spending on things the don't actually need is great, keep them hungry for more! Wouldn't the Hardened armor attachment cover this? I know it says it prevents the armor from deactivation, but you'd be wearing it, so wouldn't it protect your implants? Hahaha... but come on, it´ s work to get into it for new player, and a lot has changed since then. Not sure it should be this easy to defeat Vader with an ion rifle. Start by using the Bad Motivator talent to burn out his respirator or lightsaber. It's kinda funny when it comes to forums... people tend to make a big deal out of someone necroing a thread, but then if they start a new thread on the same subject, they get scolded for not looking at old threads. Make up ya minds, people!